From a memorable season that witnessed Brett Hull garner 21 playoff points in just 12 games along with being awarded the Lady Byng Trophy, we have a stick the superstar used to score his 71st and 72nd goals of the 1989-90 campaign, with this total 9th on the all-time list for goals scored in a season. 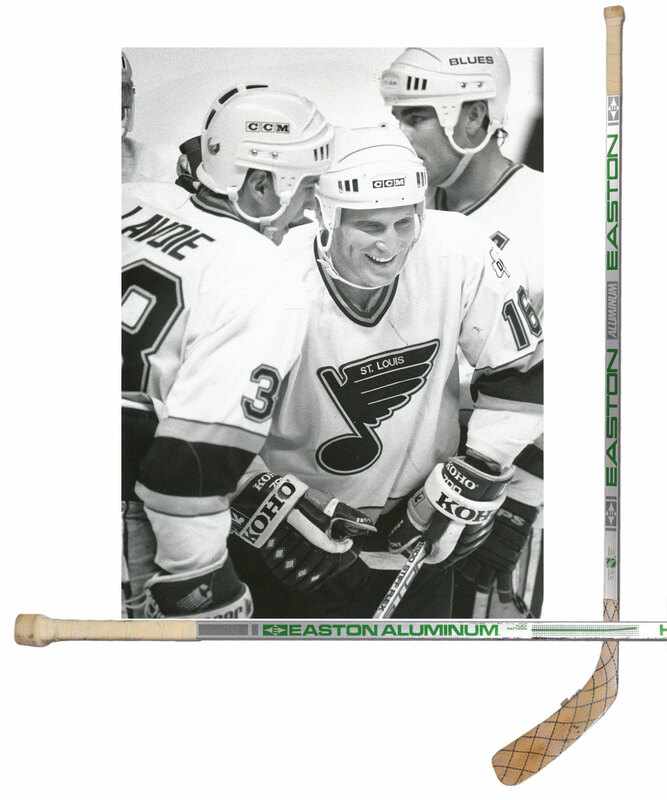 Occurring in a March 31st contest vs the North Stars in 1990, and both scored on the power play, the Easton HX 4800 aluminum model stick sports the original white tape over the handle and knob, with the black tape removed from the blade. Fiberglass tape remains over a small section of the blade, with “71” and “72” handwritten in marker along the back of the inserted blade stem. A signed LOA from Brett Hull will accompany. The stick exhibits light use, with some wear to the shaft, mostly along edges, with a few sticky areas as well. Hull would better his 72-goal total the following season, in 1990-91, with his 86 goals #3 on the all-time list for goals scored in a season.